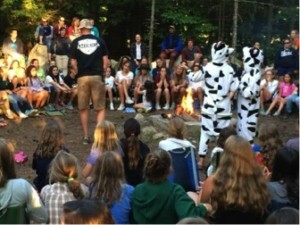 Last week I spent 3 days at an all girls camp nestled on 240 acres in Harrison, Maine. My clients, Jim and Beigette Gill own and operate Fernwood Cove offering “extraordinary summers for girls.” And extraordinary, it is. Fernwood Camp is all about quality. Each camp session is filled to capacity of 222 girls looked after by 140 staff members. The girls can choose between 30 and 40 daily activities resulting in a customized schedule for each camper. Fernwood Cove enjoys and 80% retention rate, year on year. Fernwood Cove conducts two 3-week sessions each summer from late June to mid August. Campers arrive from all over the United States and from many international locations. Similarly, the staff is multi-cultural from both the United States and several international locations. Fernwood Cove is truly a remarkable business. 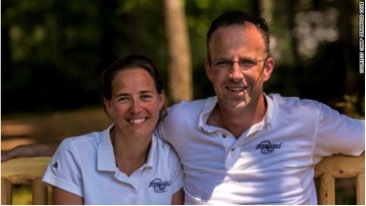 Jim and Beigette live at the camp all year long and are totally dedicated to facilitating the personal transformation of their campers from uncertain young girls to confident and accepting young women. Fernwood Cove is a solid business that continuously invests in itself by adding buildings, programs and meticulously maintaining all of its existing facilities. Fernwood Cove exemplifies the value of strong leadership. Jim and Beigettte lead by example. Some of their staff told me that they would never want to do anything that would disappoint Jim and Beigette. Camper: Thank you for changing my life. This business inspired me. I witnessed an enterprise that was run so well, was so fulfilling to the owners and their customers and was financially successful. Jim and Beigette’s success is embodied by Jim’s goal to make every season better than the last. He exhorts his campers to return home and bring their extraordinary camp life into their ordinary lives. Clearly, Jim and Beigette go beyond simply running a business. They transform the girls entrusted to them. Remarkable.